I very rarely dabble in film reviews. Frankly, going to the movies is strictly a recreational activity for me. I disconnect from reality, immersing myself in an alternate reality, and simply enjoy. No need to pick apart the story line, or attempt to articulate the movie’s objectives and worthy execution thereof. It’s either intensely riveting and thus a hit, or a total waste of time and thus a sunk cost. Mission: Impossible - Fallout is definitely the former. And though I was going to abide by my mantra and refrain from analyzing, I will permit myself just a few paragraphs. First, who can believe the Mission Impossible franchise is over two decades old? I certainly cannot, and unlike many a movie sequel, MI6 isn't plagued with monotony, far-fetched fantasy, or repetitiveness. It delivers a strong dose of action, adventure, and even emotion in the two and half hours of running time. Tom Cruise is phenomenal and just as charming as he was 22 years ago. You'd never imagine it was he, at 56 years of age no less, pulling off all those maverick stunts himself! 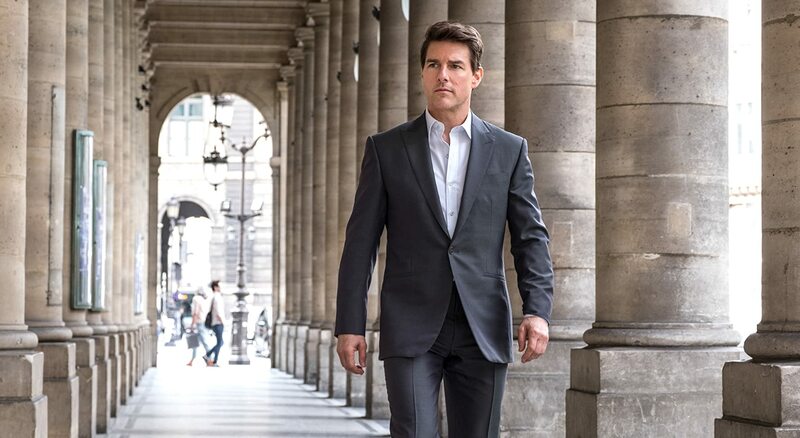 Indeed, my friend Anis Tabet, an avid movie reviewer who also attended the avant premiere, pointed out the scene in MI6 where Cruise suffered a broken ankle, effectively ceasing filming until his full recovery. What a rock star! The movie cascades from one action-packed scene to the next, but what’s rather unique to this MI contribution is an unmistakable sentimental element. I haven’t seen Cruise this expressive since Jerry Maguire, and I don’t mean it exclusively in the romantic sense (he straddles two love interests in MI6). He values all human life and can’t cope with sacrificing one soul even if the opportunity cost is saving an entire population. No lives can be foregone, and that philosophy rings true in the face of his superiors, who threaten to eject him from his mission should he continue to be so altruistic. Besides Cruise, there’s another piece (or hunk, shall I say) of eye candy on screen, and it’s Henry Cavill, better known as Superman. His role is often in contention with Cruise’s, and the race persists to the very end, when eventually good prevails over evil. I won’t indulge you with any spoilers, but I will say Mission: Impossible – Fallout is unequivocally the movie of the summer. I’m going to watch it again, because I’m certain I didn’t grasp it all. It packs in so much punch, you’d think you were at a high school prom. Just be sure to bring the popcorn.